Below are a few screenshots of my work. 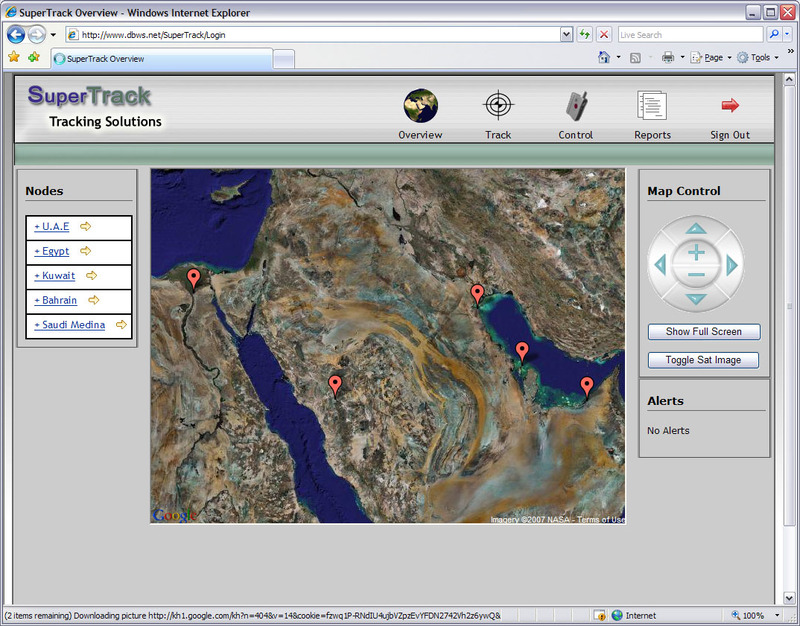 SuperTrack middle eastern vehicle & personal tracking system. The SuperTrack website was written using Java Servlets & JSP along with Hibernate dbo technology. The server setup is a windows based server running MySQL database engine. The system intercepts either http requests sent via GPRS from both specifically designed tracking units (Lommy) and handheld PDA units, or SMS messages sent via the devices in times when GPRS is unavailable. The NMEA GPS data is then decoded and stored providing the tracking data. The PDA software was written using the Microsoft .NET Compact Framework & the C# language. This was designed to run as a discreet service on the device. 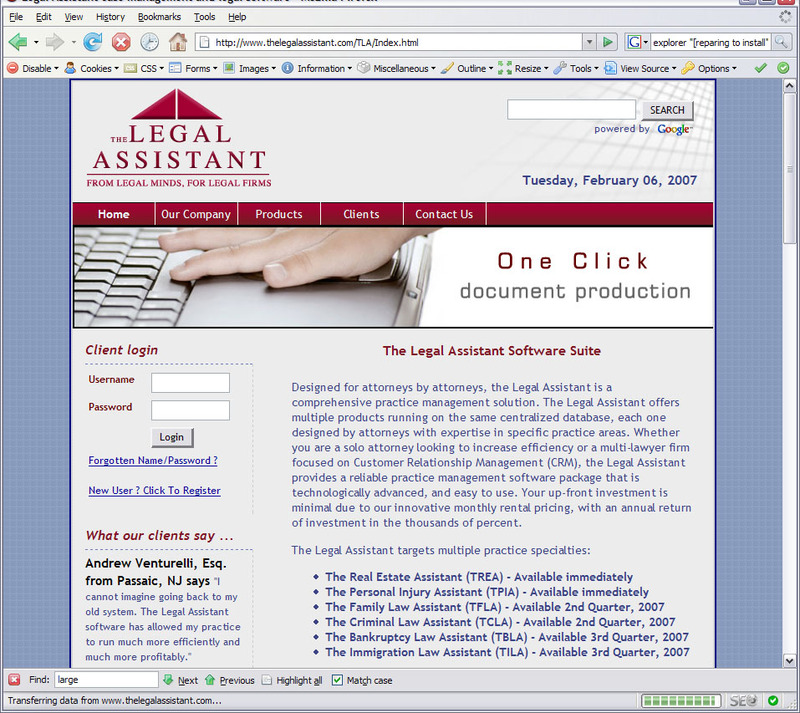 The Legal Assistant is a feature rich desktop case management application, This is an ongoing project with the main application itself being written using the Superbase language with additional functionality not possible using Superbase being developed using Visual Basic 6 in the form of Active X components. The software itself was designed to run with efficiency in mind, requiring only a tiny footprint to run the product contains many features such as document management, automated reports/warning and letter production, Email import & export, document scanning, audio dictation & transcription tools. The application also relies on a user friendly yet powerful installation package written using Installshield. The software ties in closely with the website, with communication between the software and website to provide the desktop application automated licensing and customisation functionality. 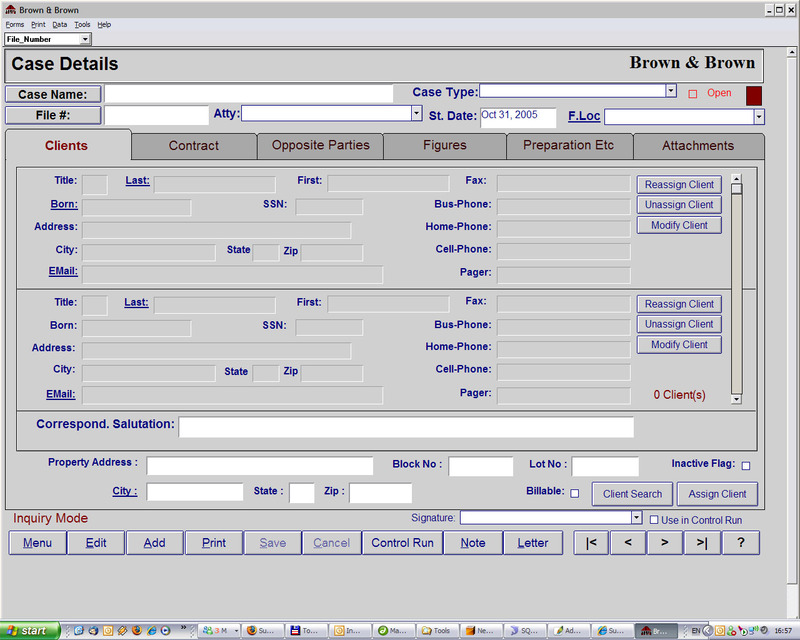 The website layout has been designed using Dreamweaver, Graphics designed using Adobe Photoshop/Flash. A large portion of code behind the site is relevant to the administration side of the site providing client management, shopping basket/commerce functions as well as management reporting/statistics. The website is all Java based running on a Linux Server (Ubuntu) with a MySQL database, with the web pages being served by Apache and the Tomcat Servlet engine. 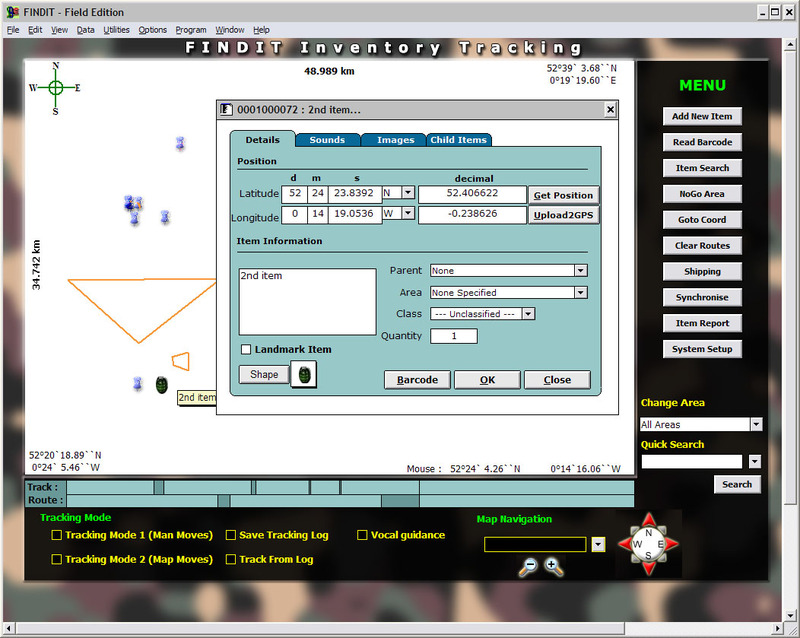 FindIt is a multi-tier application designed for the U.S. Military to provide the logistics teams with the means to easily track and locate inventory. The system was written using Superbase for the desktop application running on a rugged portable device for use with the field. The system interacted with audio & video recording hardware as well as wireless GPS & barcode printing and reading facilities so the user in the field can quickly produce/read asset tags as well as record vocal or visual tags. 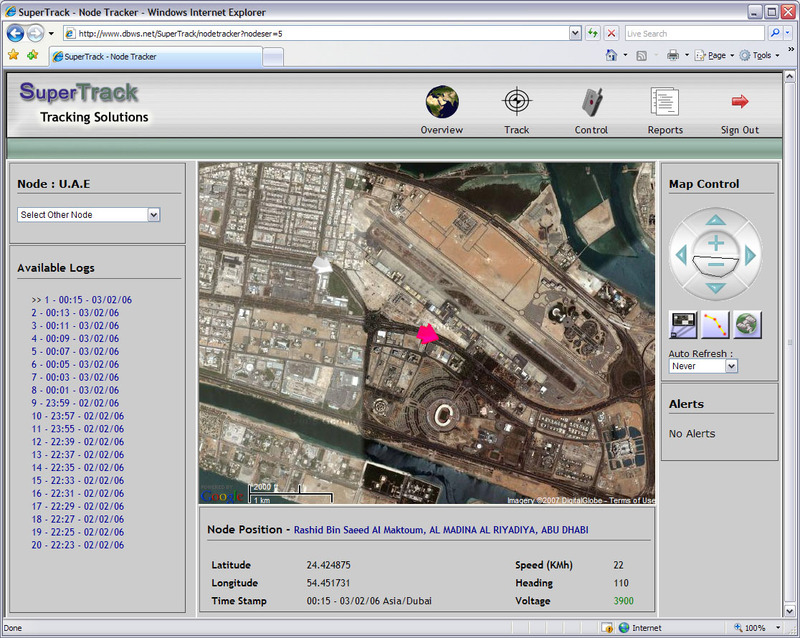 A cut down PDA & GPS only version of the software was written using Microsoft .NET allowing a user to easily locate assets out in the field. Synchronisation functionality between the devices and a central server also had to be implemented. The B.O.C.N. is a non profit project I accepted requiring a content management system allowing them to easily manage articles relating to safe ordnance identification and present their knowledge and enthuiasm for military ordnance through the use of forums, sale/wanted facilities, community building tools and above all an easy interface which was easy for their administrators to use as it was for their users.